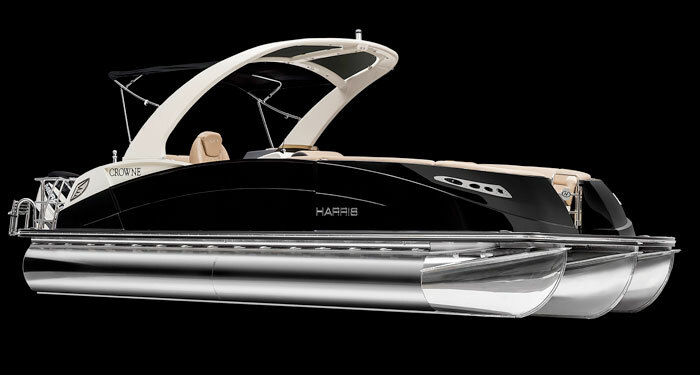 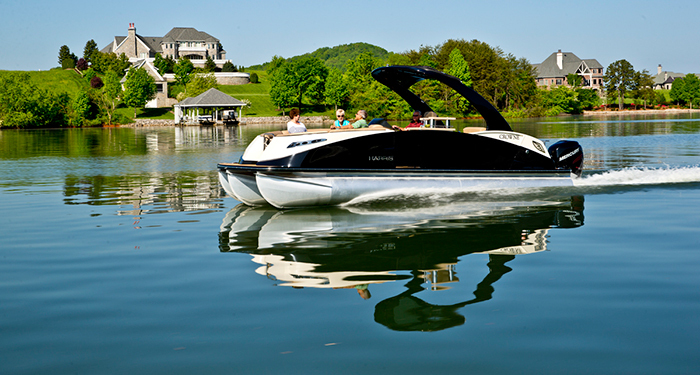 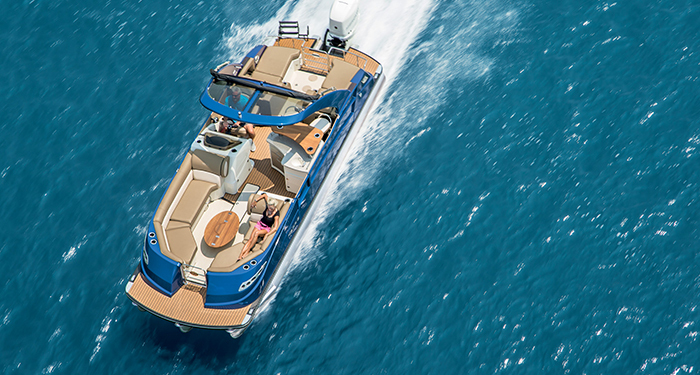 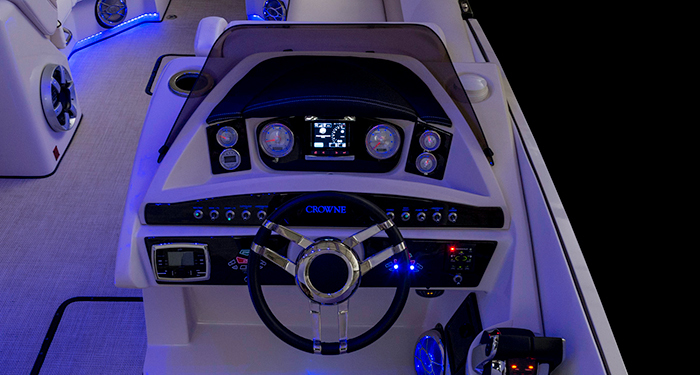 The stunning Crowne SL 250, with its plush interior and abundant amenities, makes such a statement on the water. 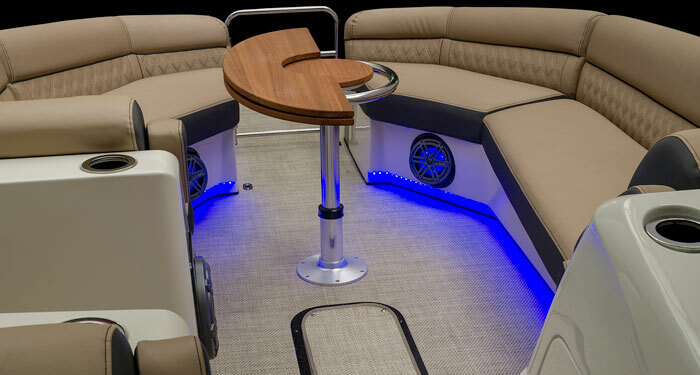 The innovative rear lounge features a powered backrest as standard equipment, which allows passengers to effortlessly transition from a forward-facing position to a rear-lounging position at the push of a button. 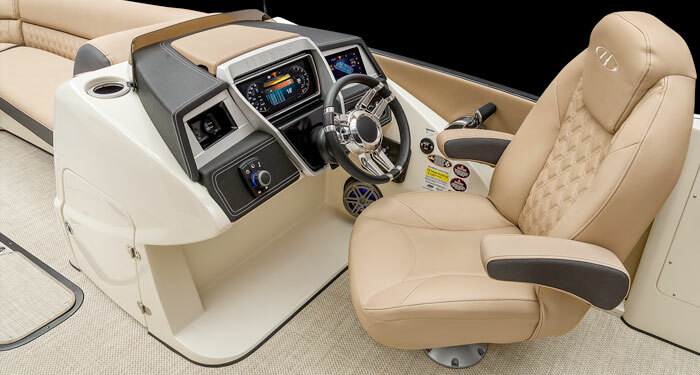 The stylish helm station features a cross-stitched steering wheel and a high-back reclining helm seat with double-diamond stitching. 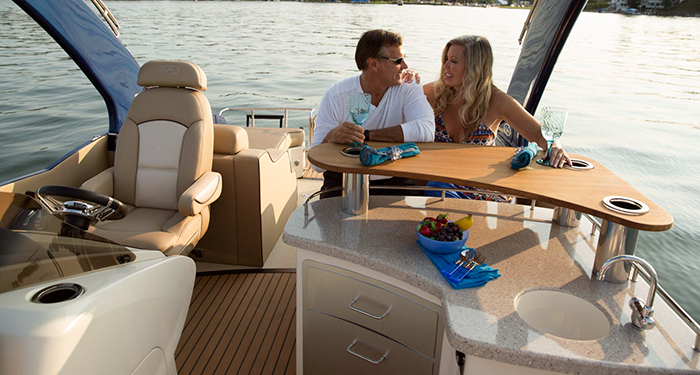 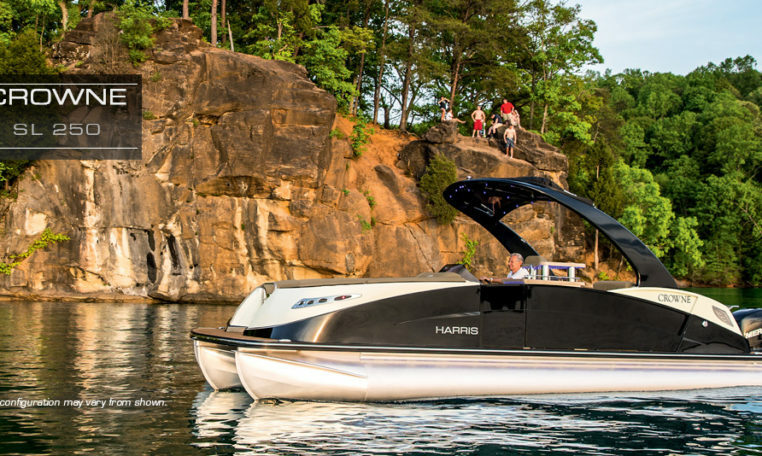 Then there is the state-of-the-art interior and exterior LED lighting, six-speaker Polk® stereo with Bluetooth® and USB capabilities, a 12-foot Bimini top and enormous swim deck. 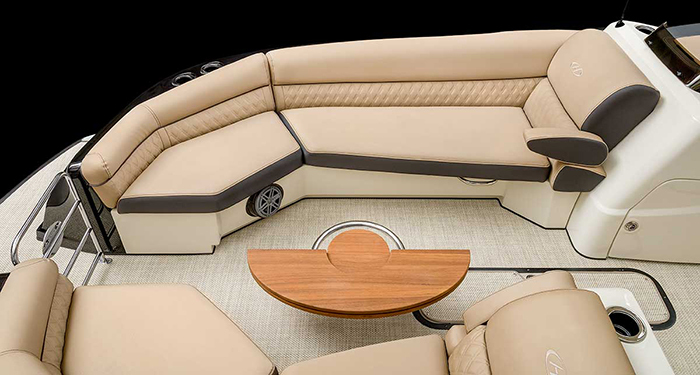 An array of high-end amenities are also available, including a beautifully made collapsible teak table, stainless steel grill, stereo upgrades, hydraulic or power-assist steering, upscale flooring such as Woven Teak Supreme vinyl, Faux Teak and Woven Shadow Diamonds, dramatic under-deck and underwater LED lighting, and performance packages with engine options up to 400 horsepower. 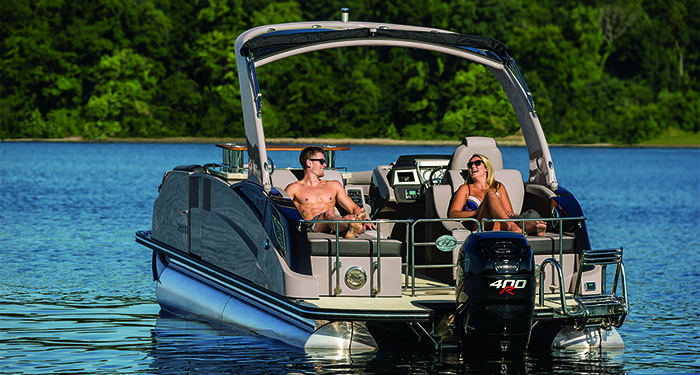 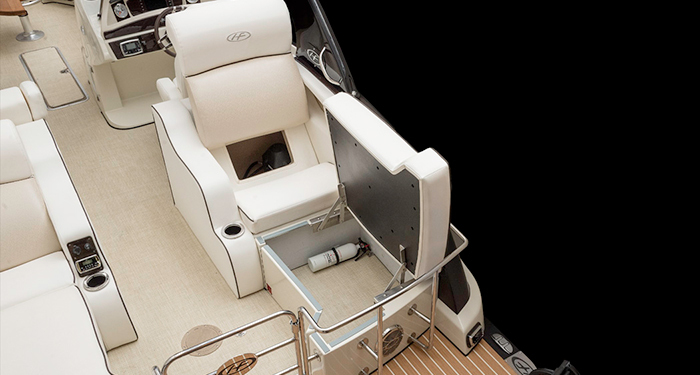 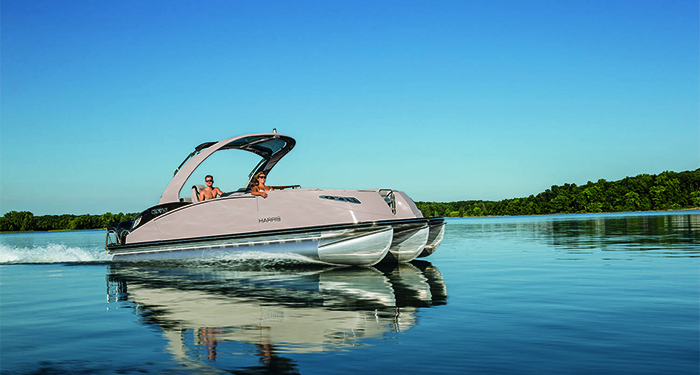 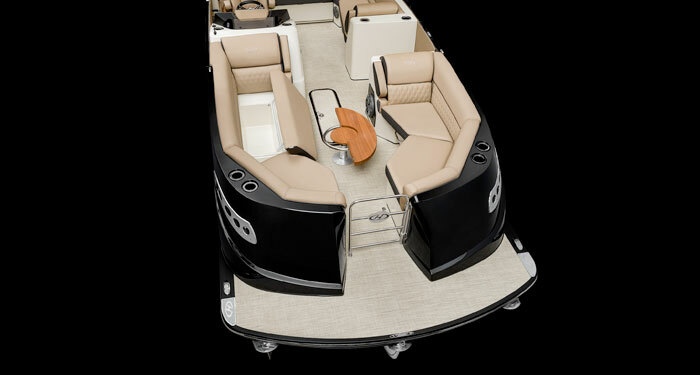 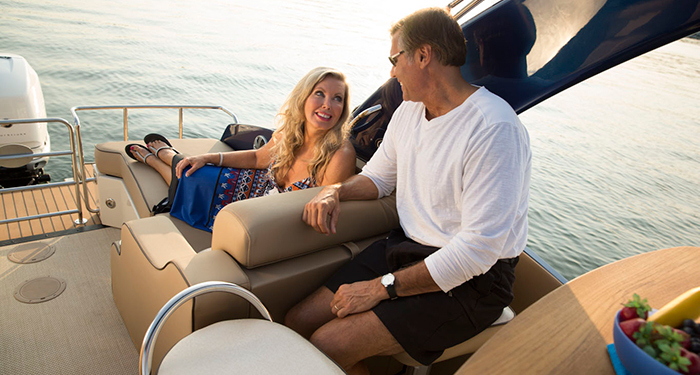 It’s no wonder the Crowne SL 250 luxury pontoon is highly sought after.